Dog owners in the habit of walking their pets should cultivate the habit of keeping their dogs leashed and carry the relevant tools with them to pick up and dispose of pet waste. It is imperative for pet owners to be acclimated to the concept of cleaning up after their pets immediately so that we may further improve the quality of the environment we live in. 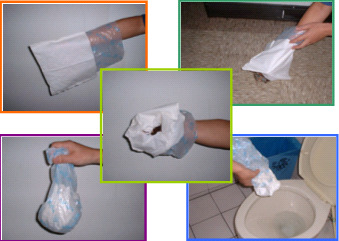 On the ground Dry Portable scoop, sand (or sawdust) waste (news)paper, clean water and plastic bag Remove the waste using a poop scoop or with your hand (after putting on a pair of plastic gloves). Remove the waste using a poop scoop or waste (news) paper. Cover the waste with sand or sawdust and mix; remove the waste using cleaning tools or with your hand (after putting on a pair of plastic gloves) and wrap it with waste (news) paper. Wash the ground with clean water. When your dog is about to poop, cover the ground with waste (news) paper. When it is done, wrap up the waste and dispose it as general waste. Liquid Clean water and unwanted newspaper Wash with clean water or gather the urine using waste (news) paper and dispose it as general waste. The best way to solve the problem with dog waste is to train your pet to go to the toilet at fix spots indoors or at places where cleaning can be done easily (i.e. drain cover, ditches and so forth). Make it a habit to wipe your dog’s feet before bringing it indoors. Feed your dog with commercially manufactured dog food or special food you have prepared for your dog (do not feed it with leftovers ) to keep your pet healthy and control the state of its excretions. Dogs are “man’s best friend". Mankind domesticates dogs as their companions and some even benefit from dog’s protection. There are countless stories on the relationship between men and dogs. Not only that, we will occasionally see guide dogs helping the visually impaired across the street. The numerous advantages of owning a dog makes it difficult not to like the animal. However, stray dogs that leave their waste along their trails are undoubtedly damaging the city’s cleanliness and impeding environmental hygiene. To make matters worse, some dog owners simply let their pets roam about the streets without a leashe . As a result, incidents of dog attacks occur and threaten the public"s safety. This in turn has led to polarized public opinions on dogs. Recently, there had been numerous complaints from legislators and public alike about environmental hygiene issues caused by dog wastes. To mitigate the situation, the Environmental Protection Bureau has notified various local environmental protection agencies on March 24 2006 to step up with the inspection operations. Dog owners who fail to clean up after their pets will be subject to penalties due to violations of the Waste Disposal Act. In addition, local environmental protection agencies were required to provide monthly reports on the results of implementation effective from May 2006. Paragraph 6, Article 11 of the Waste Disposal Act states “For the excrement and urine of livestock or poultry on roadways or other public premises, the owner or manager shall perform clearance”. In addition, Paragraph 9, Article 27 of the Act also states that “… raising of poultry or livestock that hinders nearby environmental sanitation” to be “strictly prohibited within designated clearance areas”. Pursuant to Article 50 of the Waste Disposal Act, violators will be subject to a fine between NT$ 1,200 – NT$ 6,000. If the violation continues after the end of the designated time period, then continuous daily fines shall be imposed. Basic expenditures: this includes pet/chip registration, collars, leashes, hair brush, toys, utensils, mattress, kennel, pet guide/manuals and so forth. Continual expenditures: this includes pet food, utility bills, routine trimming and grooming, health checkup, medical expenses when your pet falls ill or becomes injured, costs for vaccinations and other miscellaneous fees. Please do not buy or adopt a pet if you do not meet the aforementioned criteria. Please refrain from feeding stray dogs outdoors. Keep your dog leashed when walking it; the leash should be of suitable lengths so that your dog stays by your side. Zoonosis is any infectious disease that can be transmitted from non-human animals to humans. Examples of such disease include Canine leptospirosis, dirofilaria immitis, Lyme disease, larva migrans and so forth. It is imperative for all pet owners to be aware of the zoonoses that they may catch from their pets. If you are weighing the pros and cons of keeping a pet, you should know that most zoonoses can be prevented through vaccination. It is also a good idea to rid your pet of internal and external parasites and make sure to give your pet canine heartworm tablets. Take your pet for a health checkup once a year and keep your household clean. Be sure to wash your hands immediately after touching your pet or coming into direct contact with its wastes. You can contact the cleaning squad of your local district office should you find unruly stray dogs that are becoming a nuisance or threatening the area’s hygiene. The Animal Protection Act was promulgated on November 4 1998. 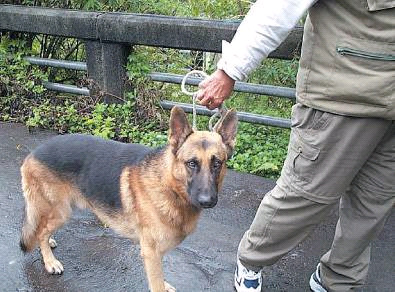 Issues pertaining to stray dogs are under the jurisdiction of the Council of Agriculture. As the primary agency responsible for the protection of animals, the council has invested extra efforts to improve upon the policies pertaining to the catching, keeping and handling of stray dogs, relevant planning, supervision and personnel training. The EPA is responsible for the supervision of local environmental protection agencies in the implementation of dog excrement eradication operations based on the Waste Disposal Act. It takes the continued participation and maintenance of everyone to keep our environments clean and hygiene. It is up to us to clean our environment. Act immediately to make a difference! Make it a habit to clean your household environment on a daily basis and participate in the community/public environment cleaning event on the Environment Cleaning Day (first Saturday of every month)!